Flashback to September eleventh, 2001, I was just moving into the fall semester of my final year at Cornell University, when I woke up early for my nine am Spanish class just like any other day…My friends Cristian and Dan were already up watching the news as they were both from New York City. Get the full screen version: AOL Instant Messenger “Away Messages” during The Terrorist Attacks on September 11th 2001. U2’s Peace on Earth can be downloaded from Amazon. San Francisco based artist Pete Ippel travels to rural Illinois to unlock the fire-proof safe that’s been buried in the closet of his childhood home since 1997. Ippel investigates and interprets nearly three years of the pre-web, Midwestern teenage experience of the middle 90s contrasting it with his technology-laden life in Northern California. Ippel will “Preblog” his journals and images systematically posting a transcription to http://hypermodern.net/tag/preblog/ three times daily. The Atlantic magazine has asked the question “Is Google making us stupid?” Don Tapscott in his text Grown Up Digital argues that “If you understand the Net Genration, you will understand the future”. My personal history has a fortunate crossroads in it that is incredibly stark: life experience pre vs. post Internet access is divided and recorded. In “Preblog” I will be simultaneously blogging as a 15-year-old boy and 30-year-old man. Transcribing and analyzing nearly three years of daily writing (30 months Dec 1995-August 1997) in one year will be a challenge. I take solace in author Jim Collins’ statement that, “Creativity and discipline go hand in hand”. 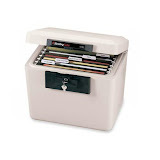 Preblog entries are located in a Sentry fireproof file safe in Morris, Illinois. 1.) January 4-10 Fly to Chicago, drive to Morris, Illinois. Document surroundings photographically. 2.) January 11-17 Gather analog photos, prepare for transport of documents. 4.) January 25 – December 31 Actively transcribe, preblog, analyze, share, and reply to comments. The Preblog process will be successful because I have great familiarity with the tools I will be using, and I have the discipline to transcribe three entries a day. Each entry to the original journal is one hand written page which translates into approximately 150 words, so three posts a day at 35 words per minute typing speed plus formatting, analysis, and scanning will take approximately 1.5 hours per day. After being dumped at the holiday dance when I was a sophomore in high school in 1995, I was searching for answers…I wanted to figure out why it happened and to grow from the experience. I took to writing. I updated my journal every night before bed. If I was away, I wrote on napkins or hotel paper. Ticket stubs and playbills were stuffed between pages. I wanted to document my thoughts to grow. I recorded events in order to better understand my world, when I left for college in upstate New York, the hundreds of pages of documents were packed in a fire-proof safe in my bedroom in Morris, Illinois. Two days before my departure for college, I received a Compaq 1535DM as a gift from my parents. I didn’t sleep for the next 36 hours because I was exploring my new Pentium 133mhz laptop and how to use it. A few days later during Cornell University orientation week’s, “Travelers of the Electronic Highway” course, my journaling practice would be forever altered. It was the first exposure I had to the Internet. I received a network id and an email address in August 1997. The computer replaced the hand written pages of my journal as I began to think of my emails as a flowing life record that I could index and search. My behavior changed, and I frequently scrutinized my new college friends’ status on Instant Messenger. By 1999 I was hand coding HTML documents and posting my art to the web. I explored broadcasting live videos online through my web cam, and delved into Yahoo Personals with the thought if I was doing this and posting as my “real self” I’d find people with the same commitment to authenticity online and offline. At this point, meeting people online still was perceived as socially dubious. 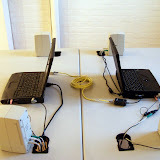 In 2001 during a graduate seminar on human computer interaction I was introduced to social networking and created a profile. This was a key moment as the personal vs. public social space continued to merge as peer-use of social networking sites exploded. In 2002 my undergraduate studies culminated in a thesis presentation that presented sexualization of technology, questioned romantic distance relationships mediated by the Internet, and explored instant creation and sharing of experiences both online and offline (Priorities). Graduate studies in art took me to San Francisco the following August, a drastic change from the rural life in Ithaca and Morris. It was here I discovered the blog. In fall 2002 I made the switch from a standard hand coded HTML, to Blogger. I began questioning issues based on the commodification of objects (Obay), as well as the anonymous gift (Free Memory), and began quantifying social networks (Age Hotness Correlate). 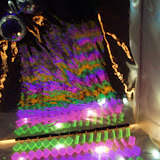 In spring of 2003 I purchased a Nokia 3660 camera phone that could upload images, video, and text instantly to the web thus making mobile and “studio-less” art creation a reality. That summer I also began working as the residence manager for the San Francisco Ballet School, and started to become very aware of the way young people create and consume media. Presently I run WordPress and have benefited greatly from the open source community. I am confident that there is much insight to be gained from looking back at both sides “being digital” and critically analyzing the texts from December 1995-August 1997. Over the past twelve years I’ve experienced profound changes in the way I live, think, and navigate in the world as my experience has become more connected, more open, and more collaborative. I intend to combine curiosity with disciplined research. By sharing my data, it is my desire to gain a greater understanding of the longitudinal effects of Internet use. 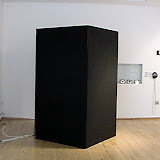 FREE MEMORY is an event created to open a dialog between what memories consists of in terms of ephemeral human thought, and that of a data driven memory model of a computer. 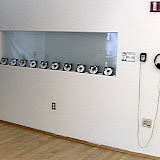 The event is initiated by the anonymous gift of a floppy disk to passers by and concludes when the box of disks is empty. Unbeknown to the receiver, the artists memories, documented in photographic form, are present on the disk thereby transferring both ephemeral, and concrete memory. More About Obay, the legal battle, anonymous late night phone calls, and Canadian bus stop mystery. For certain individuals Ebay has become a lifestyle, an extreme use of the service where people are a slave to their auctions, so dependent on checking up that it interferes with daily functioning. According the DSM-IV, the manual for diagnosing psychological disorders, this would be a criterion for a type of obsessive-compulsive behavior. Commodiphilia, diagnosed as assigning value to valueless objects in the off chance that it may be worth something to another disparate individual, is an artist coined term that references both the commodity, and the sexual perversion of pedophilia. 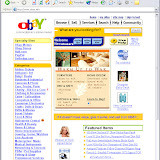 Obay.info critiques the mega-consumerist culture that surrounds Ebay, and is both a visual pun and a cautionary piece that succeeds when the user questions why they are so involved with buying and selling of the most mundane possessions. 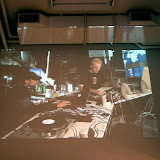 Sound Thinking DJZN TBA Album limited edition of 10 disks,Priorities: Installation, Audition, and Digitalia. Pete Ippel Bachelor Of Fine Arts Thesis Show. Cornell University, May 2002. Love Box exterior installation view,Priorities: Installation, Audition, and Digitalia. Pete Ippel Bachelor Of Fine Arts Thesis Show. Cornell University, May 2002. Priorities: Installation, Audition, and Digitalia. Pete Ippel Bachelor Of Fine Arts Thesis Show. Cornell University, May 2002. Chatting installation view, Priorities: Installation, Audition, and Digitalia. Pete Ippel Bachelor Of Fine Arts Thesis Show. Cornell University, May 2002. This is a continuation of Free Memory. There is so much potential in the Casio Exilim EX-F1 for those interest in capturing athletic events, nature, and performance. Indeed it is a revolutionary camera, in that it doesn’t tout it’s mega-pixels but is a paradigm shift in camera features with a blazing frame rate.